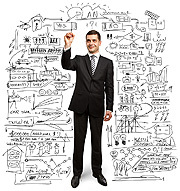 90% of the value of your outstanding customer invoices. When we bring asset-based lending to your table, we expect to generate sums of between £50,000 to £15 million for you to put to good use for expansion, management buy-ins, (MBIs), management buy-outs, (MBOs), takeovers and other needs. Many SME business owners find themselves caught in the vicious circle of having orders confirmed by credible and solvent customers, yet insufficient upfront funds to match the terms and conditions of their suppliers. Trade finance sometimes makes cash advancements against orders possible, enabling businesses to cover required deposit, duty, freight and shipping payments. 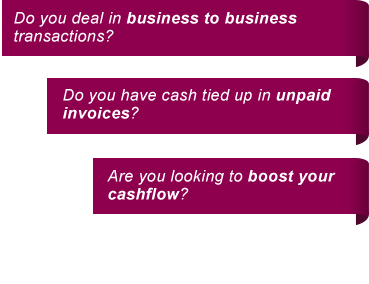 Invoice and trade finance are often used in partnership, offering one stop shop cash flow solutions. SME business owners regularly need to make substantial stock purchases, but, in the absence of confirmed customer orders, obtaining the necessary working capital can pose a very real obstacle. Supplier finance can provide the key to removing such obstacles for SME businesses with healthy credit ratings. We deal with funders who are prepared to make purchases on behalf of credible SME businesses. When the goods purchased are used for stock, they are paid for in full, which often proves to be a preferable alternative to stock finance. It is sometimes possible for SME businesses to refinance the assets they already have, thus allowing them to pump cash in to other areas. It is not a dissimilar method of cash generation as the re-mortgaging of a home. The refinancing of machinery and plant might generate funds required for the acquisition of new equipment. Term loans of this nature represent savvy moves, as the enhancement of overall business efficiency contributed by new equipment often means that it more than sufficiently pays for itself during the loan duration. Furthermore, grant subsidies may be applicable in certain cases.